As more B2B sales organizations of all sizes and industries are realizing the importance of aligning their sales and marketing efforts, one of the first initiatives that gets focused on is delivering the company’s message to the context of who their customers are, and where they find themselves in their buying journey. One of the biggest and most common mistakes I see made is the misalignment in how companies communicate with prospects at the top of the funnel (TOFU). Either the wrong information or too much information is communicated, resulting in confused prospects and commoditized products. Is this company worth my attention? When you over-focus on your products or differentiators, you create misalignment between you and them. 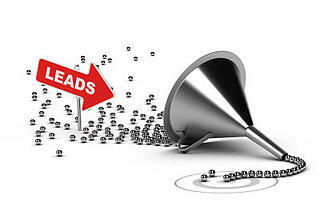 Those issues are important, but they apply further down the funnel. There’s a reason that the “About Us” section is so important on a website. As I regularly advise B2B salespeople, “Companies don’t buy things, people do.” And people want to know who they’re dealing with. Be careful in answering this question. Don’t overwhelm them with your resume or biography. More than anything else, prospects are looking get a feel for who you are and they want to know that you understand them. This is where the communication of your why is crucial. Your focus here needs to be on the problem you solve, not on your products or services. When people are asking you what is it that you do, they’re not being literal in the question. They’re really asking, how can what you do help them? As I shared in Teaching to the Oh Sh!t! Moment, this is where you get to challenge your customer and put forth your commercial teaching-point-of-view. Anchoring your message around the problem sets you up to successfully answer the third question on your TOFU visitor’s mind. At the end of the day, there is only one reason that people don’t buy from you. It’s that they don’t see the consequences. This is where you have the opportunity to position your product/service as, what I like to call, a prescription drug. How Do I Engage or Get Started? This is another potential trap for marketers. While you certainly want to make it clear how the visitor who is ready to do something buys from you, you also want to be sure that you don’t oversell. How they can continue to engage with your content. Make sure they know about your blog, white papers and so on; enabling you to nurture the prospect. Let them know how they can enter a more defined path to purchase. We’re big fans of assessments, demos and free trials. You want to highlight what they can expect and how the process works. Highlight how they can begin a direct conversation about purchasing. Ensuring that all of your content and communications designed for the top of the funnel stay focused on answering these four questions will significantly increase the likelihood that your visitor moves down the funnel.